Google On The Dressing Table: The perfect Cashmere jumper?! I’ve been on the hunt for a while for the perfect Cashmere jumper and I wanted to share this with you because I think I think I might just have found it! 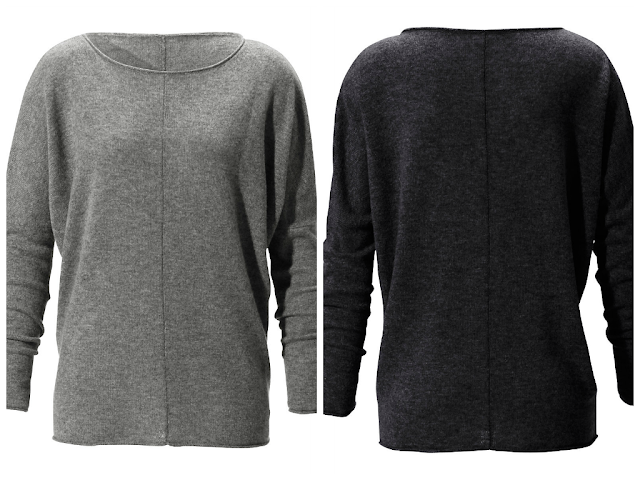 Cashmere is the ultimate in luxurious comfort which would be a staple in my wardrobe if I could afford it! Not only is it incredibly soft but it is a great insulator and keeps you warm in the cold weather but allows you to cool down in a warm environment so you don’t get all hot and bothered when you have been outdoors and then walk into a warm house. Perfect for walking the dog then warming up in front of the fire! I’ve found that a lot of cashmere pieces can look very classic and quite formal which is not really my style. The reason I love this jumper from Peter Hahn so much is because its casual and slouchy, perfect for being comfy and cosy on a wintery day, but because of the quality I still think it could be dressed up to look more smart-casual so you would get endless wear out of it. I love the silhouette that the dropped shoulders and tapered sleeves give, and the seam down the front and back. It costs £159 but the steep price tag of cashmere is reflected in the quality; it lasts well without bobbling or piling so I think it’s a real investment. I'll have one in every colour please Santa! these are so lush! I have such a black, grey and white palette when I wear clothes so these would fit in perfectly! And who doesn't love cashmere? So lush!